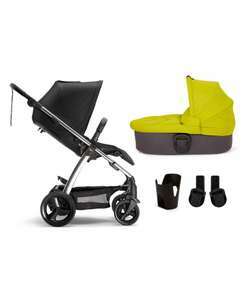 Sola² 4 Piece Pushchair Bundle - Black/Lime Green half price £313, only in Lime, got mine bright red but out of stock now. Maxi-Cosi CabrioFix Baby Car Seat & Easyfix Base - Nomad Black £199.99. pre-order and will be delivered in 6 weeks, our baby due in April and that is justgood time when it arrive, not the best but the price was good for us for the whole travel system. I use this pushchair. Very poor quality.